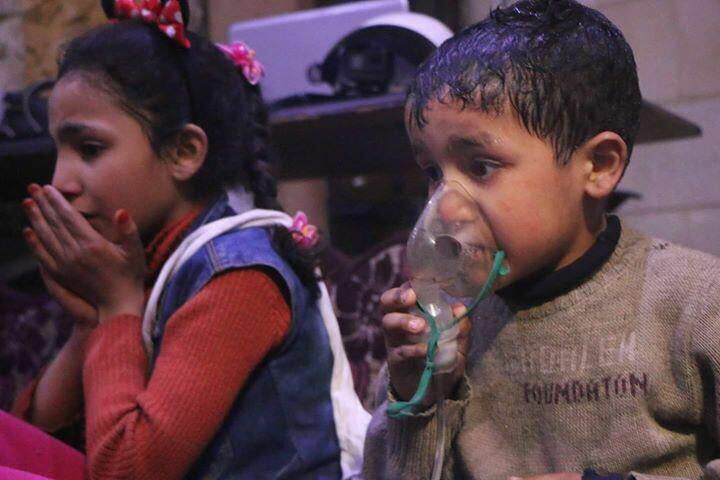 By Caroline Pearse & H. E.
Intensive bombings have targeted again the city of Douma in Eastern Ghouta. 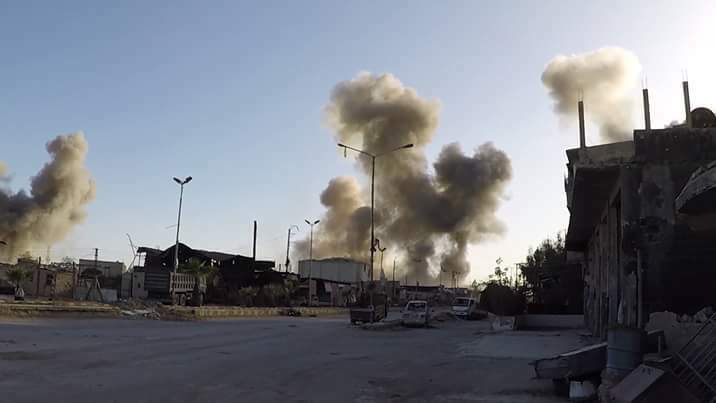 More than 270 Russian air raids and TNT barrils from the regime have hit Douma. Two Russian warplanes, helicopters and regime artillery have taken part in the operations. 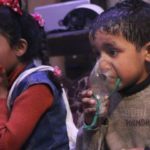 The Syrian regime has used chemical gas in the bombings on Douma today. At least 40 victims and 1000 cases of suffocation have been recorded among the inhabitants of the city. 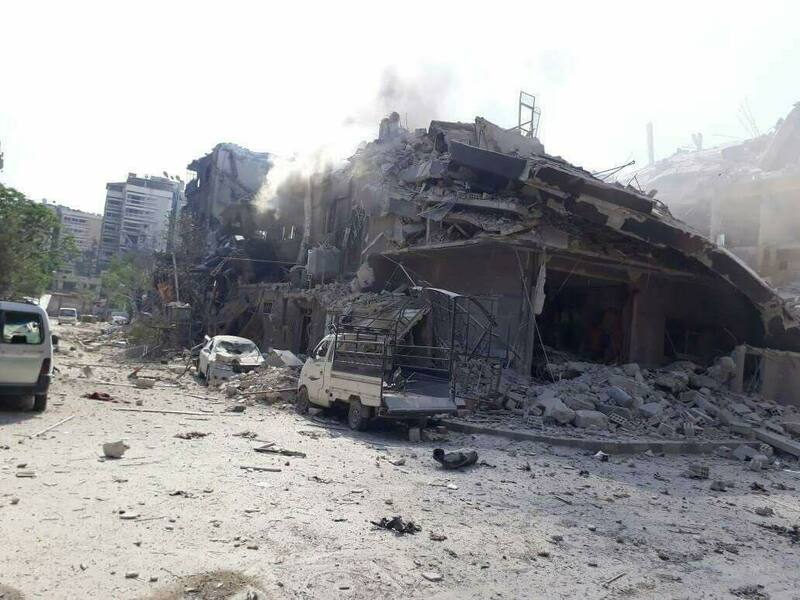 The Douma hospital, the Red Crescent centre and the rescue centre have been targeted by the bombings today. Several attempted intrusions have happened today in the city of Douma. The regime army and its pro-Iranian militias have been pushed away several times by Jaysh Al-Islam who controls the city. Douma is considered to be the last bastion of the Syrian armed opposition in Eastern Ghouta. Several other eastern suburbs of Damascus are still under the control of the opposition that fights both the regime and ISIS. 5 shells have fallen in the streets of Damascus today without leading to any victims. They are suspected to be a response to the regime offensive against Douma. 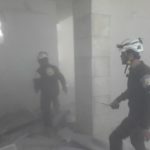 Russian air raids have targeted several towns in the provinces of Idlib and Aleppo today, among them the town of Tal Kansafra in the province of Idlib west of Kafranbel. 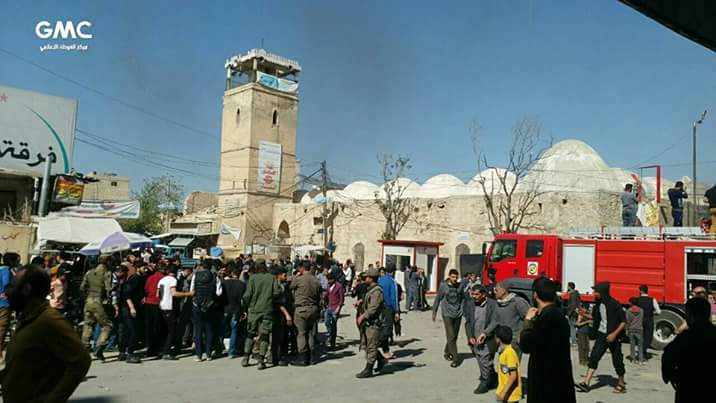 A car bomb next to the great mosque of Al-Bab in the North of Alep led to 6 victims and several injured persons. The city has recently sheltered several convoys of deportees from Eastern Ghouta. A column of vehicles of the Turkish army has arrived today in the city of Morek, where an observation post will be settled. 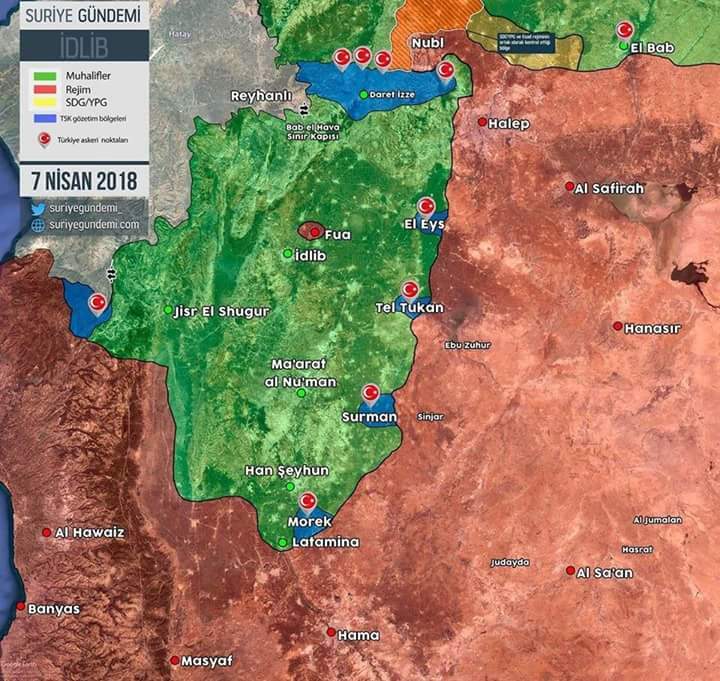 Turkish media have published today the deployment positions of this army in Syria. 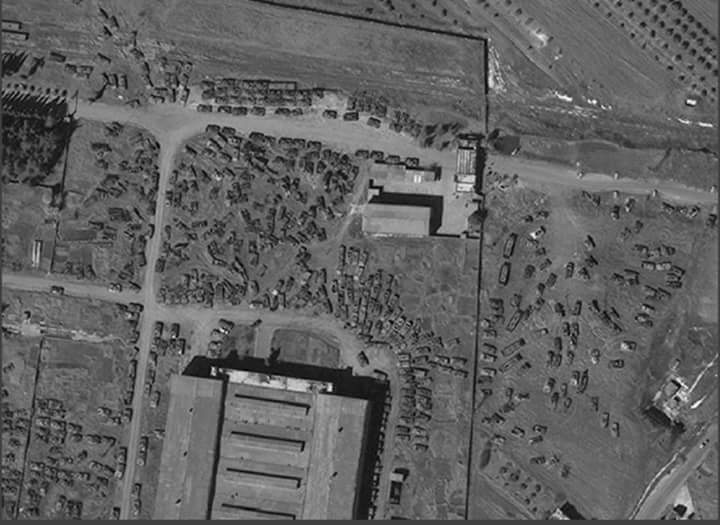 Almost 1000 destroyed tanks and armored vehicles have appeared on an aerial photo of the factory 623 of the Syrian army in the province of Homs. 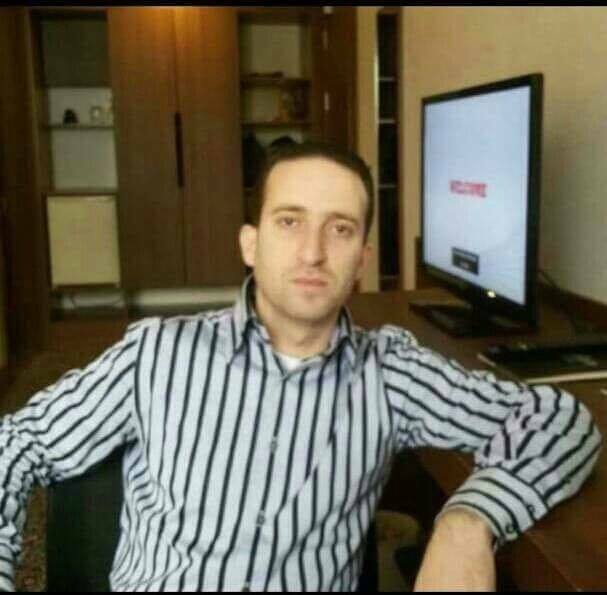 My name was Farouk Hayo, I was a Syrian lawyer from the city of Alep. I was detained by the regime during the evacuation of the city more than a year ago. I was murdered under torture during my detention. 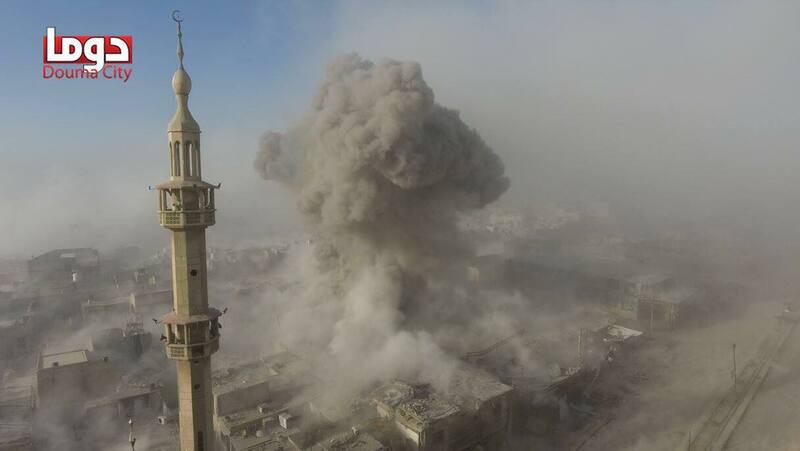 The image of the day: an explosion caused by an air raid on the city of Douma.